Choosing The Right Edmonton Roofing Contractor – If you succeed in choosing the right Edmonton roofing contractor, then you would make a sound investment that will keep rewarding you for a long time to come. If you make a wrong choice, then you will not only risk investing your money in vain but you will have to bear many expenses in repairs, reroofing and maintenance in the future. There are a few parameters that you should use while determining who the best Edmonton roofing contractor is. There would albeit be factors such as budget, the type of roof you want and if you have some referrals but the following criteria are the most significant. License & Insurance – You should never deal with a roofing contractor that is not licensed and uninsured. You should ask a roofing contractor to show them their Edmonton license that authorizes them to run a roofing business. You should also enquire about the insurance they have and ask for a certificate that tells you precisely how much insurance coverage the contractor has, what kinds of damages and liabilities or compensations the roofing contractor can attend to by the virtue of the coverage of the insurance policy. You should check out all these paperwork. You should also look for additional credentials such as a rating from the Better Business Bureau, the associations that the company is a member of and if the roofers are trained and certified in adherence to a broadly accepted standard. Consultation & Site Inspection – Consultation and site inspection are the second step to understanding if an Edmonton roofing contractor is right for you. A roofer should offer you an extensive but nonobligatory consultation and must inspect your property, the roofing deck and the existing roof if there is one with great focus. Without these two processes, a roofing contractor will never be able to offer you a great roofing solution. Estimate & Contract – You may want to have a first impression based on the estimate that roofers give you, but you should never make the final decision based on an estimate. What you need is a roofing contract, not a guessed quote or a ballpark figure that can go haywire. 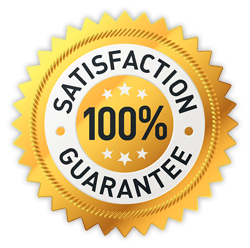 You need a detailed contract, one that mentions all terms of services, exact quotes, schedules, warranty and everything. Expertise & Portfolio – You should always hire an Edmonton roofing contractor that has expertise in the type of roofing you want. Check out their portfolio and look for references from the roofing contractor to know for certain that they are the best ones for the job.